Chuck and Jan Rosenak discovered Navajo folk art on a house buying trip to Santa Fe in 1983, when they saw an exhibition of work by Mamie Deschillie, Elsie Benally and Johnson Antonio at the Wheelwright Museum of the American Indian. 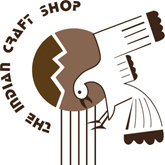 Thus began a journey that led them to discover the joy and whimsy of Navajo folk art. Wooden chickens, horses, goats, and people, sandstone carvings, pottery, rugs and even jewelry are a part of this unique genre of art. 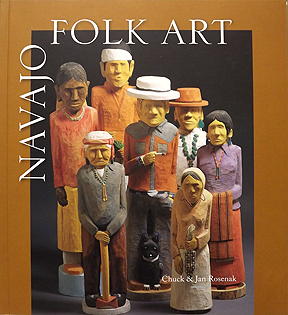 First published in 1994, the Rosenak's felt an updated version of this publication was needed because of the increased interest in Navajo folk art. Short artist biographies give an insight into the lives of the artists and highlight their work. Colorful photographs combined with a personal knowledge of this art form makes this an essential guide to a comic, intensely creative, truly American art.